It's been a while since I've seen a story with such a good premise that failed so badly to capitalize on it. It didn't help that the story seems to be advertised everywhere as being some kind of paranormal mystery bordering on vampires when it's pure technology. That seems to be something that some of the writers in Japan think is cute: the religious or magical or paranormal that turns out to be pure technology. Though that trend makes no sense, not even in Japan (the most technological country on the planet). If you wanted to make something more surprising, go the other way. Perhaps it's the age demographic of the viewers there (or the writers). In spite of that, the basic premise is very strong. Runaway technology. Add the fact that the general storyline is very realistic (assuming such a piece of runaway technology did occur). First, hide it, then confuse everybody over it, and end up with genocide and annihilation. Sounds familiar, huh? (And I'm not talking fiction). Pretty much normal (moronic) government thinking. So, where did it go wrong? Characters. Throughout the entire series you keep asking yourself, whose story is this anyway? For three episodes, this guy. Then he disappears. OK. The other guy. Nope. He disappears too. In the end, the last man standing, so to speak, wasn't even a significant character in the first half of the series. In addition, none of the characters have any depth. Some we find out next to nothing about; we never have any idea why they do what they do. We cannot feel with or for them. The three catalyst characters -- I cannot call them the principal characters even after watching the entire series -- do get nauseatingly detailed coverage of their background, but that part of the story completely fell apart. Aside from the portrayal of Germans as uniformly prejudiced and hateful, we heap so much crap on these three characters that it goes way beyond believability into farce. Overall, the story plays like an encyclopedia entry as an example under "Runaway Technology: Example #2" because we never get close enough to anyone to want to feel for them. And back to the technological premise. How, after rubbing our noses in the fact all of this is technology, do we start seeing people in their afterlife? Huh? The music was boring. The animation was pretty good, but how many of the same fight do we really need to see when we know perfectly well who is going to win/lose each fight. The best scenes in the series were those that interrupted the repetitious fight scenes. One last point on the interaction between the storyline and the character definitions: The "bad guy" wasn't. That's not criticism; that's a complement. The best bad guys are always the ones who could be good guys if the story was told from a different perspective. That was the strongest element in this story and, frankly, the reason I kept watching. I kept hoping for a Gilgamesh ending. I think this anime is pretty awesome. The plot is very detailed; it makes you stop and think about society as it. Themes that this anime touch on are prejudice, salvation, and whether or not mankind can truly be redeemed. It pulls greatly from religion. I can say that I'm known to ball my eyes out when a character dies (and there are a lot of character deaths) but this is the first time I didn't cry. Instead, I felt a sort of empathy for the characters that died, a feeling that I shouldn't cry for them because they wouldn't want it. So yeah, I did connect with the characters but it was a subtle connection, one that kind of sneaked up on me. When I first saw this anime, I decided it wasn't worth watching after a few episodes but with my anime list getting shorter and shorter, I decided to watch thing in its entirety. I know quite a few people that the first couple of episodes sucked (I did too) but it's kind of like you have to pay close attention to enjoy it. Those episodes were really setting the stage - it was like letting you know about the world, giving you a preview into the themes it was going to be dealing with (loss, salvation, redemption). The anime did have one character in there that I thought was pretty darn useless. I mean, she wasn't a damsel in distress type character but at the same time, she didn't do anything all that spectacular. If you're familiar with the "somebody gotta live to tell the story" saying - then I guess that's kinda where she fits in. The villain of the story was nicely done btw. Yes, he was a ruthless murderer but he was so compassionate at the same time. I couldn't help but feel for the guy and actually agree with him from time to time. I thought the music was good. It wasn't anything special but it was definitely fitting. Overall, I think this anime was about salvation as much as it was about runaway technology. To me, the stolen technology that the war centered around was kind of like the subplot. The main focus of this anime is: does mankind deserve salvation in spite of the horrible sins we've committed against each other? This anime is definitely worth watching. Just bear with the first few episodes and you'll be in for a real treat. One of the best anime series i've seen. Forget the bad reviews about this anime, some guy down below said this anime was just about an infection that turns people into machines and that people riding motorcycles fight them. WRONG!! These guys have obviously only seen about the first 2-3 episodes, quit watching it, and made a stupid review about it. Here's my Review. I'd said the first few episodes were thrilling and made you want to know what happens next. (not gonna spoil anything). After a the first 3 or so episodes, the plot really takes an advance. It might confuse you about who the main character is because at first you'd think this one guy is the main character but then it turns out he isn't. Some of the scenes in this anime are true to the real world and deal with real problems like bullying an suicide. yes, i agree with xargin, this world is truly cruel. The first season was just a series of events that lead into the climax, aka, the 2nd season. the action scenes in this anime were done in CGI and looked great. The only thing i didn't like about blassreiter some of the questionable stuff that happened such as malik, when he woke up and instantly knew everything about what was happening after being asleep for several days. LOL it made no sense. Anyways, i'd say this was one of the best and better animes i've watched. it's interesting, compelling, and keeps you hooked until the end. In two words, it feels superficial and fake, like someone heard of a story someone else told of Europe and biblical mythology then made a story from that. I quit at the halfway point when the clichéd angsty childhood backstory rolled around. That I need to specify when tells you something about this show. There's some cool stuff in here. Unfortunately it's buried in lazy writing and characterization, which is probably partly because, and this is a spoiler, every two or three episodes a new character gets focus and is summarily killed off. The frankly dull and uninteresting villains (all of them) remain alive, though. It's better than Muv-Luv Alternative, but not enough that I can't rule out personal taste. Maybe it is the digitally made anime that I do not really like, but I found that after 6 episodes I did not really connect to anyone in this show. They just acted on some situation but I do not really feel like I can understand their deeper feelings: something might happens and they react. That is it. Why did they act? What is driving them? I miss having a backstory, something that make me connect emotionally and fully agree the reason they behave, no matter if it "normal" or "breaking the rules". Technology going wild, that part I like, but also in that aspect I feel like I am missing out on what is really laying behind it. Some similar shows make me at least react philosophically where I feel like I need to meditate on what things actually stand for... but here I experience numbness. Maybe I am missing something later in this show, after 6 episodes, but honestly, then it is too late for me. However, I loved the show up till episode 12! the plot seems to fall apart a bit and to much lore and backstory is thrown in at once past EP 12 (2 entire consecutive episodes). Now did it end up awful in the very end? No. Overall, the entire thing I give it 3 stars but I really enjoyed the beginning.Finally they really should have sat down and developed the plot more on paper before publishing it because its kind of a mess later on. Just Terrible. A bad plot is only the start. This series fails in many way. The story has holes and errors with events previously disclosed latter being disclosed differently. Add in characters that you just could not care less for, crappy CGI all over the place, and a pedestrian plot to begin with and you get a series you should avoid. Good story line, good animation. A great show with awesome animation and action. Its starts off pretty slow but once it starts introducing the main character it gets really eye gripping. This show reminds me of the Kamen Riders if anyone has seen them before. If you liked this show I can recommend you watching Darker the Black the first season. This anime was recommend by my friend to me and i like the whole machine evolution thing. The story has depth to it and is interesting to follow. : the race on the mountain with two bikes is just fantastic and how fast they are. I wish we get AI that can chat with us in our cars or bikes in the future. The animation and the sounds are really good, this anime is really enjoyable to watch, the only thing in the anime is the principal character its a totally idiot in the beginning so you star to hated it, but when the time pass you star to connect with the character, the ending is one of the best, the story have good twist. you will enjoy wacthing this anime is really good. Good job Gonzo. 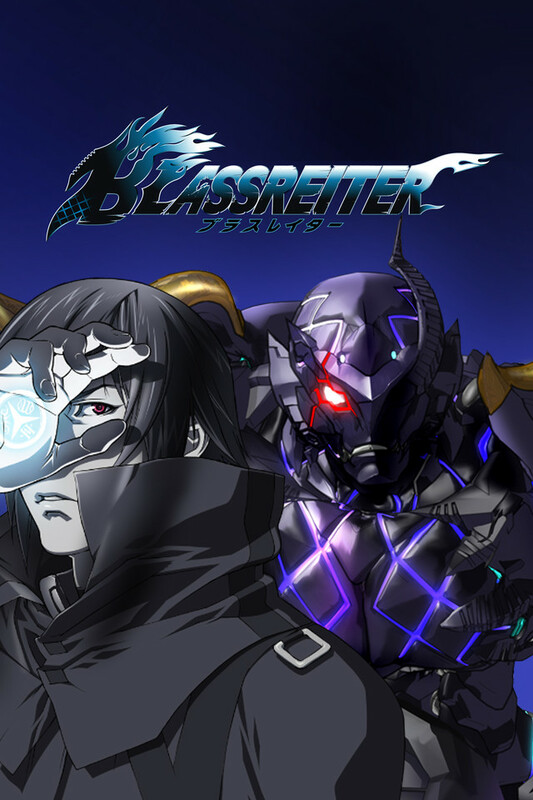 Sorry if the review is a little mess up is my first review i ever made,,,, i hope you enjoy blassreiter as i do.